I find the most difficult part of a new project is getting started. 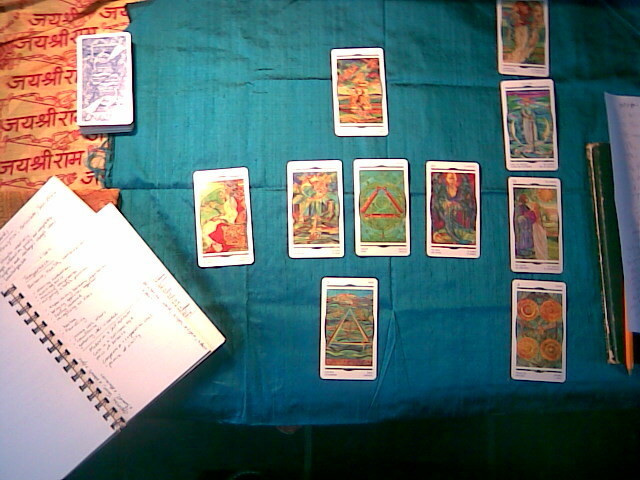 Today I got myself into the right frame of mind to start the sequel of my book by doing a Tarot reading. Nothing particularly mystical about Tarot – it’s a way of helping you to consider many different aspects of a question. In my case “How should I approach writing this story”. The process of working through the card meanings helps me to calm my mind and settle into the new project.